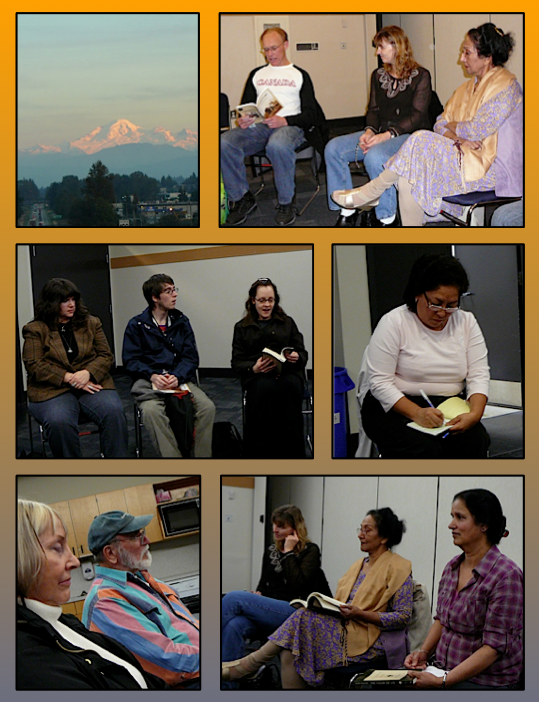 Our final MSA PPS reading of the season Monday, October 17th, was an intimate event. We shared poems around the circle, took a break to eat Satwant’s spicy samosas and then read some more. We will round out the year with two more events. All MSA PPS members are asked to attend. A year-end potluck is planned for November 23rd at the Kariton Gallery. More details coming soon. On Monday, October 17th the MSA Poets Potpourri Society is hosting their last open mic, poetry reading night of 2011 in conjunction with Canadian National Library Month.